Author Sass Cadeaux, has tagged me in her blog to take part in The Next Big Thing blog tour. Please do not forget to visit her blog! Her information is below. It takes place in an area that I spent a lot of time in growing up; the Southern Outer Banks (SOBX) and it’s full of mysteries that are as old as time. I just took some of those mysteries and spun a new tale with them! I would have to say it falls under Paranormal/Supernatural Thriller with a touch of romance. Gerard Butler for my main character, Logan Lewis, and possibly Andi McDowell for the MC’s wife, Dani. Logan is a sea captain who is shipwrecked on an island near his home, until he discovers something that could change the world and history, so he sets off on a journey to right the wrongs with the help of several ghosts and supernatural beings. I am leaning towards self-publishing this series. The first draft took approximately 6 months. Dreamcatcher, by Stephen King or Your Heart Belongs to Me, by Dean Koontz. The person who inspired me was my grandfather, Captain Roy C. Lewis, Sr. This book is riddled with exciting historical figures such as Edward Teach (Blackbeard the Pirate). The MC and other characters go on many adventures in a race against time. The story exposes the love between the MC and his wife. There is a little bit of something for everyone in this book. 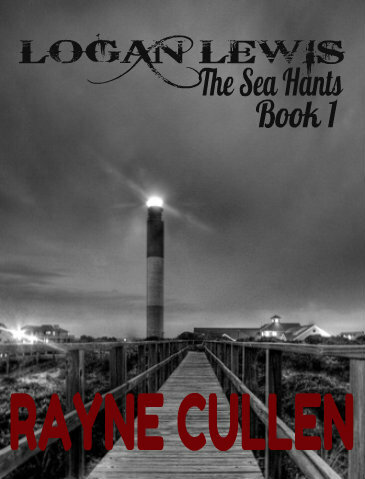 wow, what a great post Rayne Cullen, thanks for sharing about your book and who ispires you. I loved it and I can not wait to read it! Wow! Loved it and Congratulations! Also thanks Sass Cadeux! Your most welcome my friend! this was so wonderful! so excited for you!